MariaDB's subquery cache is not a cache for subqueries. Instead, it can be treated as an optimizer, its tables surviving for the duration of a statement. The MariaDB subquery cache feature added in MariaDB 5.3 is not widely known. Let’s see what it is and how it works. 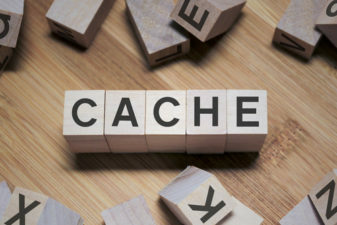 What Is a Subquery Cache? MariaDB only uses this optimization if the parent query is a SELECT, not an UPDATE or a DELETE. The subquery results get cached only for the duration of the parent query. You can also do this at the session level. How Does Subquery Cache Work? The server decides to read t1 first (the bigger table, as expected), and then access t2 using the subquery cache. It creates a MEMORY temporary table to store the results of the subquery, with an index on c (it is used to match the rows). Then it reads the first row from t1, and checks if the search is cached. It is not, so it reads t1 looking for rows with c=1 and copies the results into the cache. The next time it will find the value 1, and it will not need to access t2 because the matches are already cached. If you look at the data, you may notice that the value “5” appears twice in t1 (and is absent in t2). But the search is cached anyway, so the server searches for 5 in t2 only once. The totals match, and the number of writes to the cache is equal to the misses (after a miss, a table access is done and cached). The maximum size of an individual table is the minimum of tmp_table_size and max_heap_table_size. If the table size grows over this limit, the table is written to disk. If the MEMORY table creation fails (perhaps because MEMORY does not support BLOB), the subquery is not cached. The total of hits and misses can be seen by reading two status variables: subquery_cache_hit and subquery_cache_miss. After 200 misses, the server checks the hit ratio for that particular subquery. If it is < 20%, it disables the cache for that subquery. If the hit rate is < 70% the table cannot be written to disk in case it exceeds the size limit. These numbers (200, 0.2, 0.7) are hardcoded and cannot be changed. But if you really want to test how MariaDB behaves with different parameters, you can change these constants in sql/sql_expression_cache.cc and recompile the server. Subquery materialization is another strategy that the optimizer can choose to execute a query. It might look similar, because some data from a subquery are written to a MEMORY table, but this is the only similarity. The purpose and implementation of subquery materialization is different. Let’s try to explain this with pseudocode. Despite the similarity in names, the MariaDB subquery cache is not a query cache for subqueries. These features are different, implemented for different purposes. Obviously, the subquery cache doesn’t have the scalability and performance problems of the query cache (global mutex, table invalidation, etc.). As mentioned, a subquery cache table only survives for the duration of a statement, so it should be considered an optimizer strategy. For example, in some cases, you might use the subquery cache for a WHERE … NOT IN subquery, but not for the WHERE … IN version, because the optimizer prefers to rewrite it as a JOIN. Of course, not all correlated subqueries automatically benefit from this feature. Consider the example above: it is built to show that the subquery cache is useful. But we can easily build an example to show that can have a negative impact on performance: add rows to t1, and delete all duplicate values of a. There will be no hits, a temporary table is created, 200 reads and writes are performed, but it won’t help. After 200 misses, the cache will be disabled, yes, but what if this happens for each subquery? The damage may not be huge in a realistic case, but it is still damage. That’s why you can disable the MariaDB subquery cache. No Subqueries Allowed in Materialized View? No Problem! Published at DZone with permission of Federico Razzoli , DZone MVB. See the original article here.